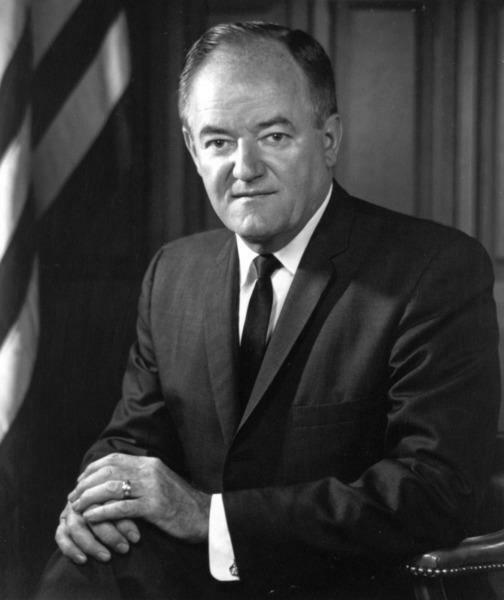 Hubert H. Humphrey was one of the most prominent politicians and policy-makers in the United States from the mid-1940s until his death in 1978. Humphrey was born in Wallace, South Dakota in 1911 and attended high school in Doland, where his father owned a pharmacy. 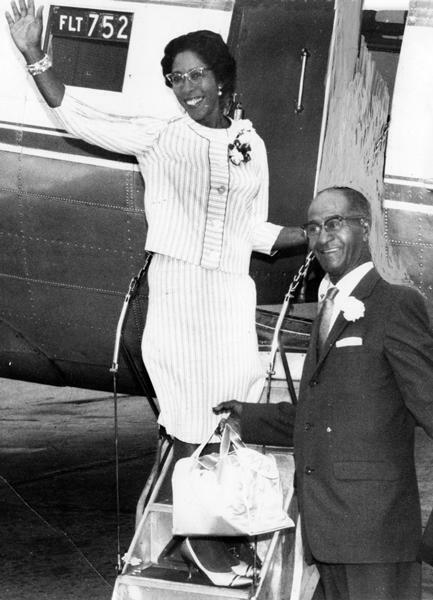 During the 1930s, Humphrey Sr. moved the business from Doland to Huron. Hubert earned a pharmacy degree and helped run the family business. Chuck Gemar was born in Yankton and graduated from Scotland high school in 1973. 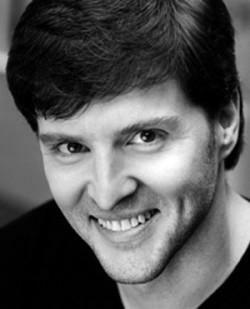 He was accepted into the United States Military Academy at West Point, where he earned an engineering degree in 1979. Gemar was attached to the 24th Combat Aviation unit as an Assistant Flight Operations Officer and Flight Platoon Leader. Charles "Chuck" Isakson (1917-1997), a Webster native and longtime Huron resident, was among some 50 South Dakotans who survived the Japanese attack on Pearl Harbor on December 7, 1941. 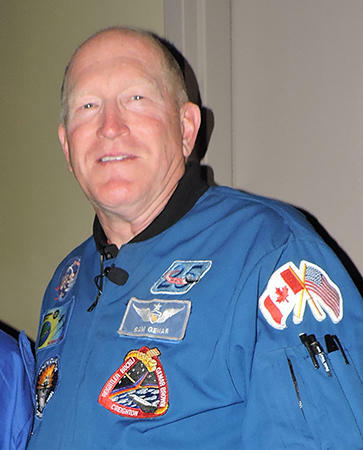 He told his story to a gathering at the Huron Elks Club in 1993. Chuck Anderson, Huron radio personality and host, recorded and preserved the speech. 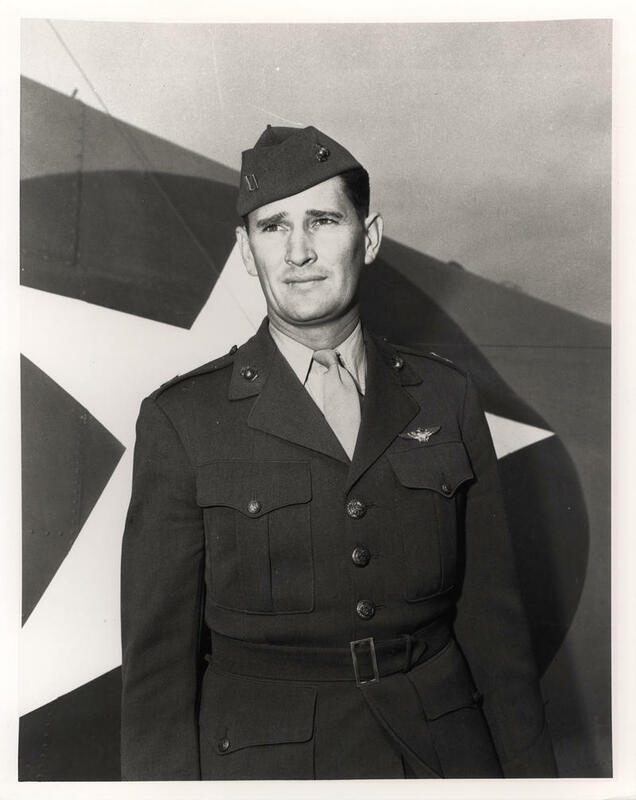 Radio host Chuck Anderson traveled to Joe Foss's Scottsdale, Arizona home in 1996 for an interview with one of the most famous and accomplished South Dakotans ever. Very few people achieve as much as Joe Foss did in his lifetime. After the death of his father in 1933, Foss had to take over the family farm near Sioux Falls. He was still in high school and was suddenly responsible for taking care of his mother and younger siblings. His younger brother eventually took over, allowing Foss to graduate from high school and earn a degree from the University of South Dakota. Amy Burnett is one of the best South Dakota basketball players ever. 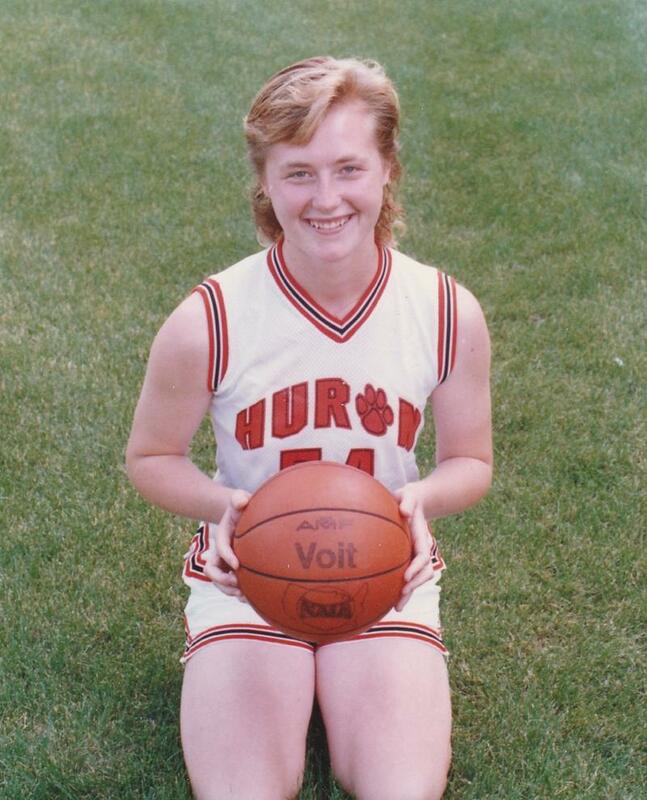 Burnett grew up in Huron and led Huron High to a class AA State Championship in 1989, her junior season. The team took third place during Burnett's senior year but she set a state tournament scoring record with 86 points over three games. She also lettered in volleyball and track. While many bookworms spend their time cocooned in public libraries and bookstores searching for the next great story, George Hall had only to walk through his own front door. 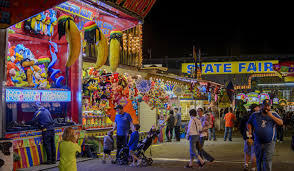 The South Dakota State Fair is different every year and yet it never really changes. It's a capstone experience for hundreds of 4-H kids earning ribbons by showcasing their skills - from photography to poultry to pickles. The State Fair is midway food like corn dogs and funnel cakes. It's demonstrations of super-sharp but amazingly affordable cutlery, the latest in farm machinery, and so many other (mostly) useful things. It's carnival rides and games and the mingled smells of popcorn, sheep, diesel fuel, and fried you-name-it. 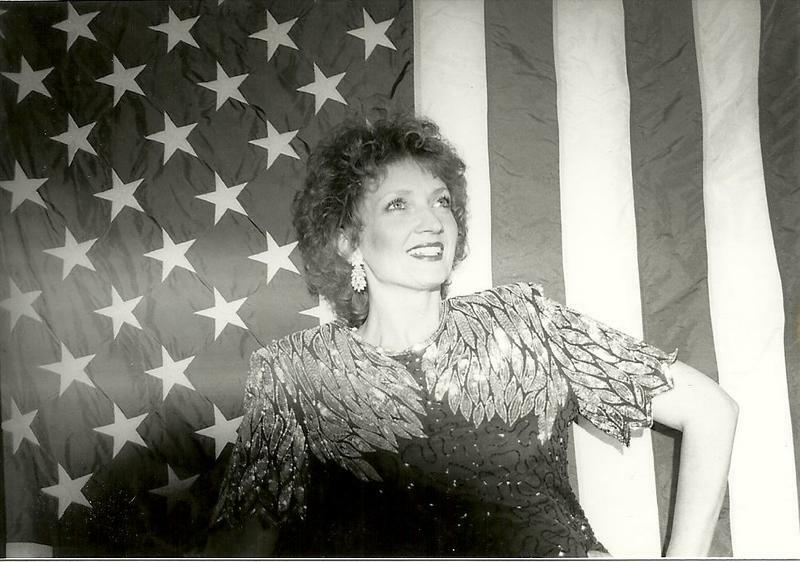 Gloria Mackoy, a country gospel singer and songwriter and former De Smet resident, visited Chuck Anderson in-studio during August of 1993. South Dakotans know Mackoy for her work in De Smet's "Little House on the Prairie" pageant, performances at the state fair and elsewhere. Mackoy and Anderson talked about her musical career and featured several songs from her first album, "From My Heart". To begin the interview, Mackoy explained how she initially fell into music during her elementary and high school years, despite an inability to read music. 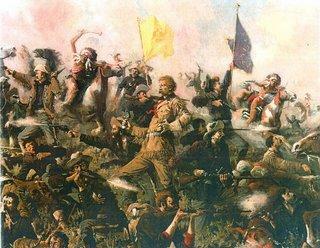 This weekend marked the 141st anniversary of the The Battle of Greasy Grass, also known as the Battle of Little Bighorn. We begin hour two of In the Moment by putting the battle into context. First, author and Black Hills State University instructor Donovin Sprauge sat down with us last year at this time. He's a family descendant of both Crazy Horse and Chief Hump. He's working on a book about the two men. 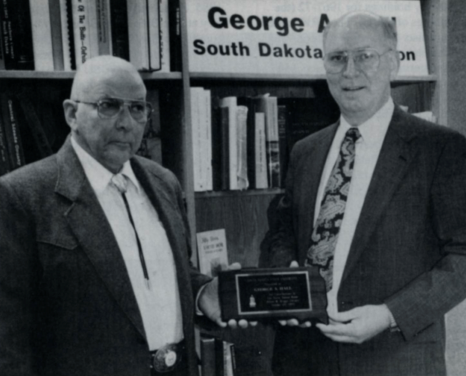 Donovin Sprague is also an archivist with the Cheyenne River Sioux Tribe. 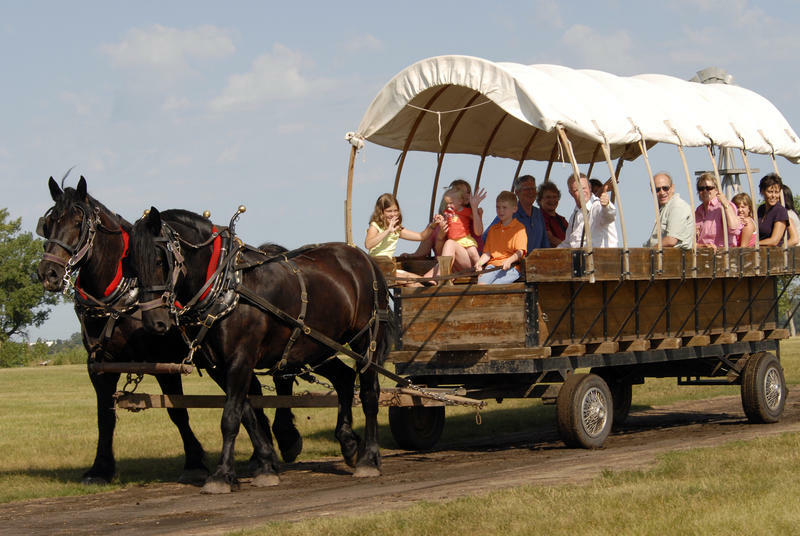 For over 49 years, De Smet, South Dakota has been the home of the Laura Ingalls Wilder Pageant, attracting tourists from around the world. Started in 1968, local residents began acting out “The Long Winter”, a "Little House on The Prairie" series novel published in 1940. The novel and the play recall the events of Wilder’s childhood in rural South Dakota. 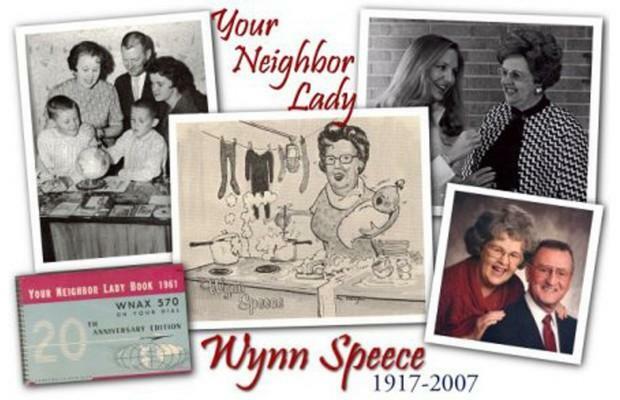 For 54 years, the friendly greeting “Hello there, good friends” resonated over WNAX radio waves throughout the Midwest, delivering trusted recipes, words of advice, and Yankton’s most reliable neighbor lady—Wynn Speece. Prior to his unfortunate death in 2001, Kyle Evans, a South Dakotan country music recording artist and entertainer, visited the Huron Arena in April of 1994 for an interview with local radio host, Chuck Anderson. 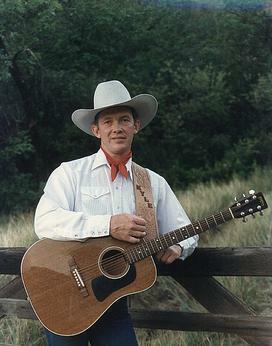 During his 20 years within the music industry, Evans traveled throughout the United States, playing in over 1,500 professional rodeo performances, the National Rodeo Finals in Las Vegas, Miss America Rodeo Pageants, and numerous other venues alongside Kitty Wells, Hank Thompson, Tex Ritter and many other notable country artists of the time. On July 16, 1994, Chuck Anderson visited Pierre to attend an event called "South Dakotans in WWII." 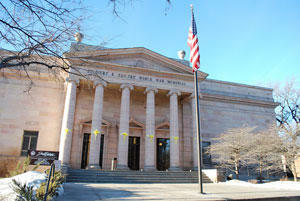 It took place at the newly minted Soldiers and Sailors World War Memorial Building, and Chuck got to take a tour. He met George Summerside, the Veterans Education Program Representative for the State Office inside the building where the Robinson Museum and State Historical Society used to be. George begins to describe the layout of the memorial. The Great Flood of 1993 hit the American Midwest from May to September, running along the Mississippi and Missouri Rivers and extending into nine states. Naturally, South Dakota was in its path. Chuck Anderson traveled to the southeast corner of the state, a particularly affected region. He stopped in Montrose, a town of roughly 420 people seated northwest of Sioux Falls, that fell partially underwater. There, he met John Griffith and his father, Bill, who were in the process of repairing a damaged basement where a wall caved in. 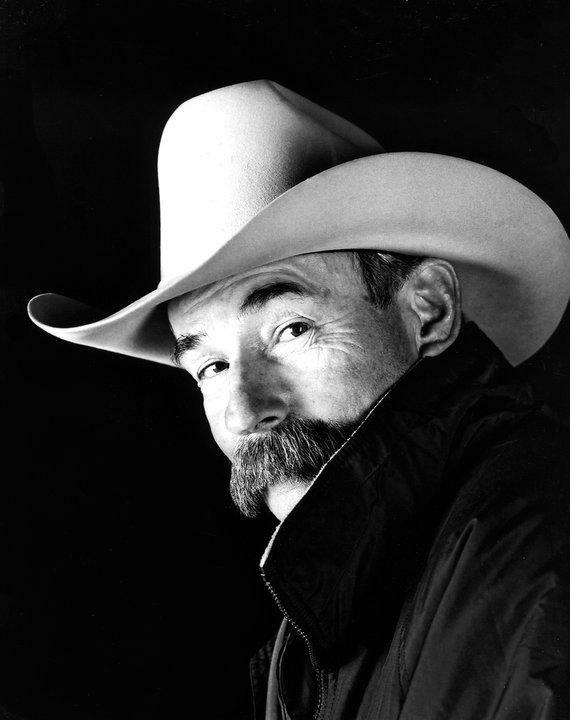 In Chuck Anderson's first interview with Baxter Black, the duo had a strong rapport. So, Chuck had to visit Baxter again. This time, it was in Baxter's home in Brighton, CO. The two men picked up right where they left off, which was basically when Chuck lost control over the interview and Baxter switched roles. Baxter welcomed Chuck to his home, apologizing for a "missing wall" that he removes every summer. Chuck was so comfortable in his environment, he forgot to introduce himself until the second minute of the interview. When you're drafted into the military, you have a chance of being on the front lines. When you're on the front lines, there's a greater chance you're going to die. If you cheat death, you're lucky. 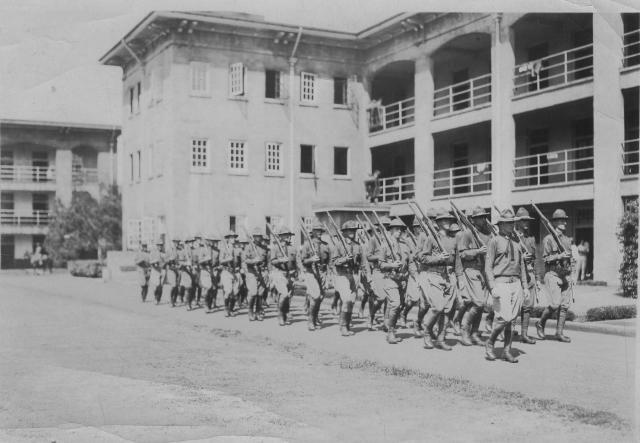 Retired Brigadier General Ted Spaulding met these odds in the Philippines during World War II. He, unlike the thousands who perished there, made it back home. 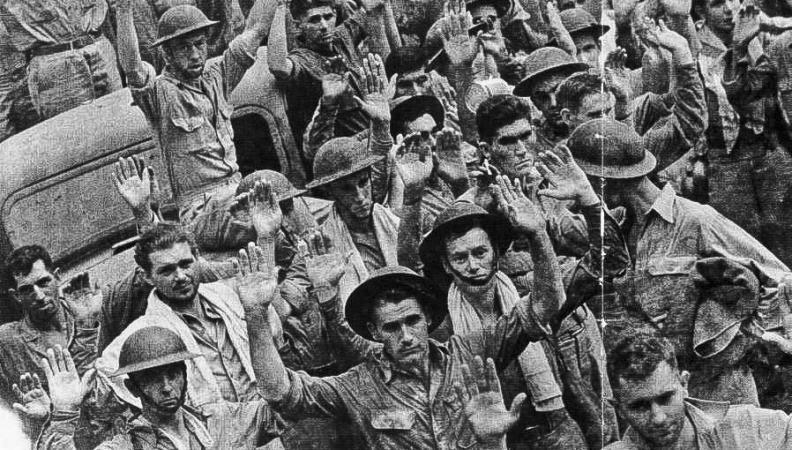 Chuck Anderson got to speak with him about his survival of the Bataan Death March. Personalities: "Hell No, We Don't Glow!" In the southern shadow of the Black Hills sits a small town with a small population...and a big past. 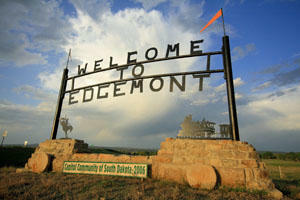 Chuck Anderson was welcomed into Edgemont, S.D., a town of 900 people whose land produced unique and coveted resources. The "Germans from Russia" story continues with Drs. Tim Kloberdanz and Harry Delker, experts in German anthropology and heritage. Radio journalist Chuck Anderson's interview with these men expands on the Volga Russian experience during WWII, the fall of the Soviet Union, and the American experience for German-Russian immigrants. 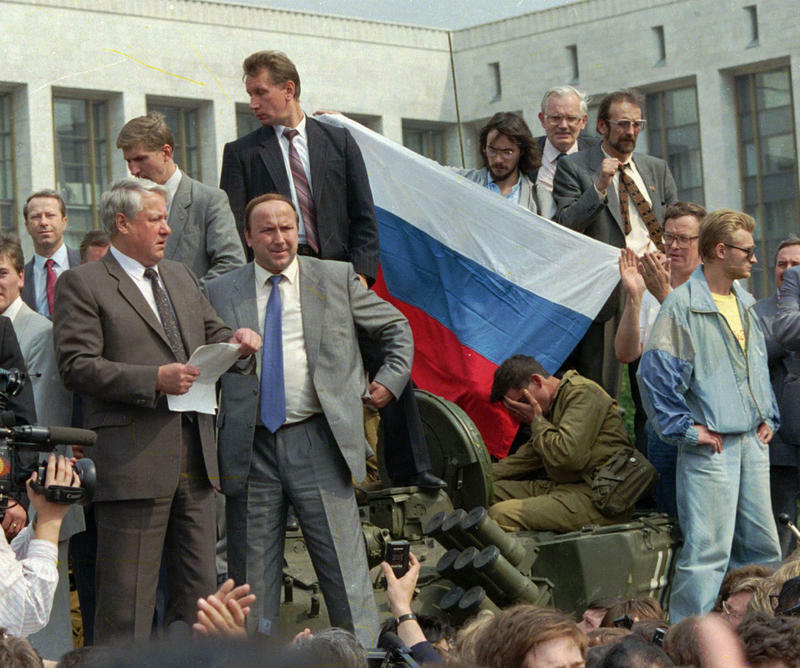 Tim and his wife, Rosalinda, visited Volga Germans near the port town of Saratov in August 1991, during a coup against Soviet President Mikhail Gorbachev. The Dakotas are a product of Native American and northern European cultures. With a deeper look, one can see the added influence of diverse subgroups such as the Volga Germans. In November, 1993, Huron, S.D. hosted the national convention "Germans from Russia." Radio broadcaster Chuck Anderson met and interviewed Ted and Corinne Becker, a father-daughter duo who dedicated their lives to researching the experience of being a Volga German. The nation knows his tongue-in-cheek performances on the Tonight Show with Johnny Carson. People from the heartland listen to his imaginative-yet-relatable radio program on cowboy life. 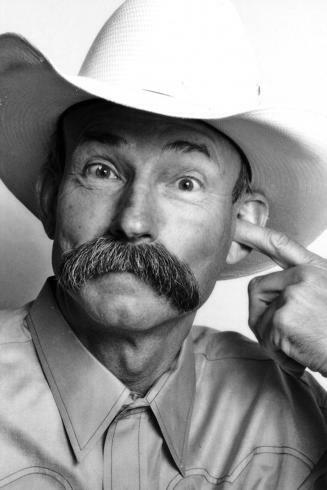 Meet the master of cowboy poetry, Baxter Black. 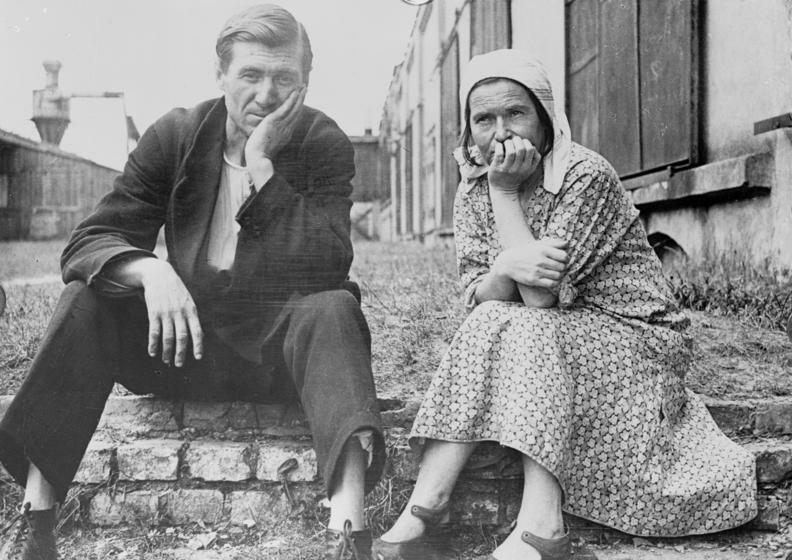 In this continuation of the story of Roy and Lucille Fitz, the De Smet couple discusses the reality of the Depression's effects on the plains. Roy says eastern South Dakota was hit in the early '30s. An acre of land valued at around $50 in the 1910's (about $1,200 today) had dropped to a mere five dollars (about $87 today). Crops dropped steeply in value, and it became difficult to feed livestock. Farmers and governments both were accumulating crippling debt. 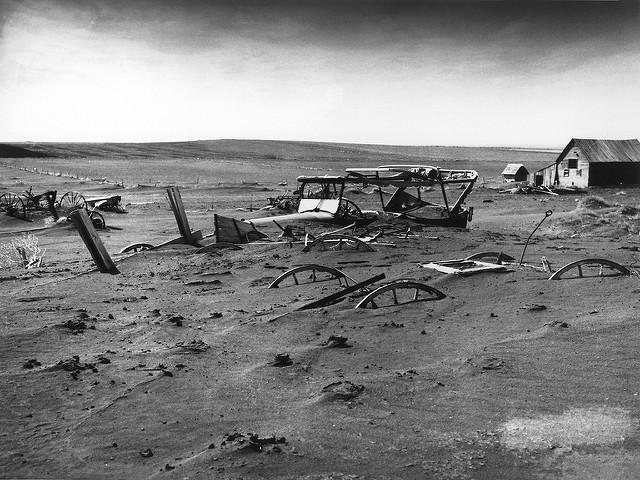 On top of all this, droughts became normal and the infamous Dust Bowl began. 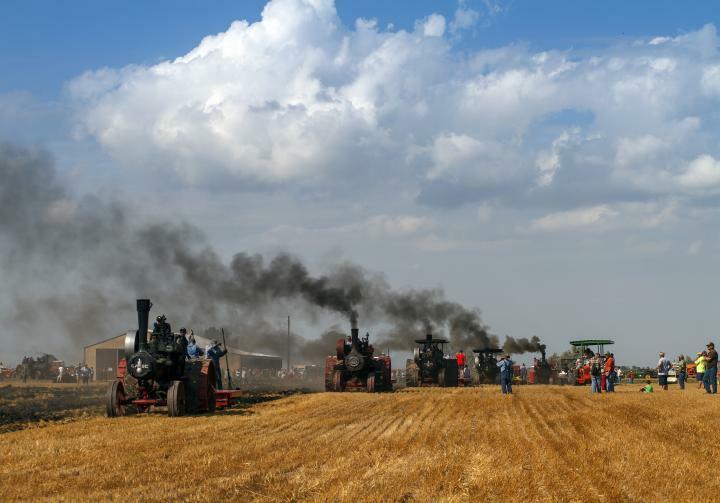 Sadly, we're losing senior South Dakotans able to share first-hand remembrances of what life was like here in the years before and during World War II. Fortunately, some of their memories have been recorded and saved. Chuck Anderson interviewed Roy and Lucille Fitz, a farm couple from DeSmet, for a radio broadcast in 1994. Roy was born in 1911 on a farm near DeSmet. Lucille was born in Yankton County, near Irene in 1915. 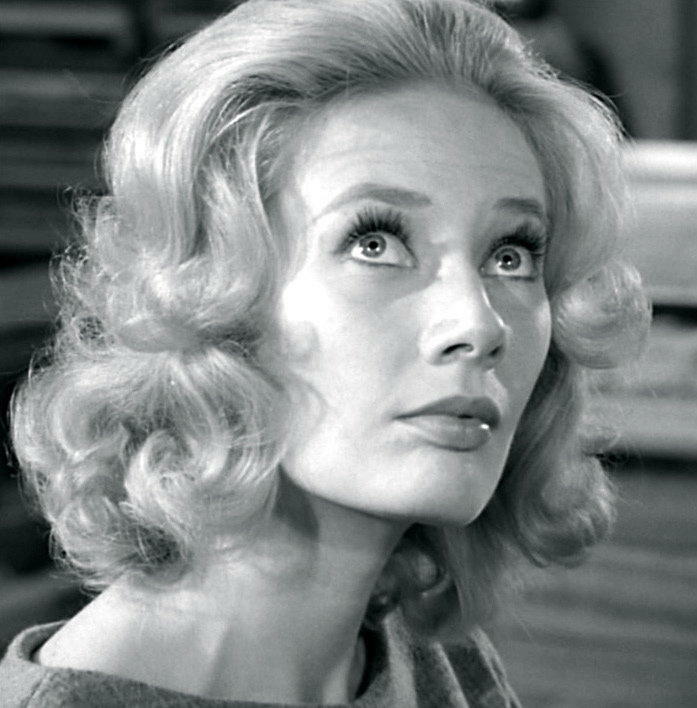 Personalities: Huron Native Candace Hilligoss on Her 1962 Cult Film Classic, "Carnival of Souls"
Candace Hilligoss grew up in Huron during the 1940s and 1950s and graduated from Huron high school. After three years at the University of Iowa, she moved to New York City to pursue a career in acting and theater. She enrolled in the prestigious Actors Studio, paying her way with money she earned as a dancer at the legendary Copacabana night club.